Strength in Numbers — RISE (Responsible Industry for a Sound Environment) added 15 members in 2016. The national trade association representing manufacturers, formulators and distributors of specialty pesticide and fertilizer products now numbers about 200 member companies. Mosquito Management — This year, Congress declined to take action on Clean Water Act reform and the Obama Administration’s $1.1 billion funding request for mosquito control, and Zika virus testing and related medical therapies. Pollinator Protection — Also in 2016, about 10 states considered pollinator and neonicotinoid-related bills. RISE has proposed adopting three to five measurable criteria for all State Managed Pollinator Protection Plans, and is working with regulators and legislators to try and ensure pollinator activism does not turn into anti-pesticide activism. New Look? 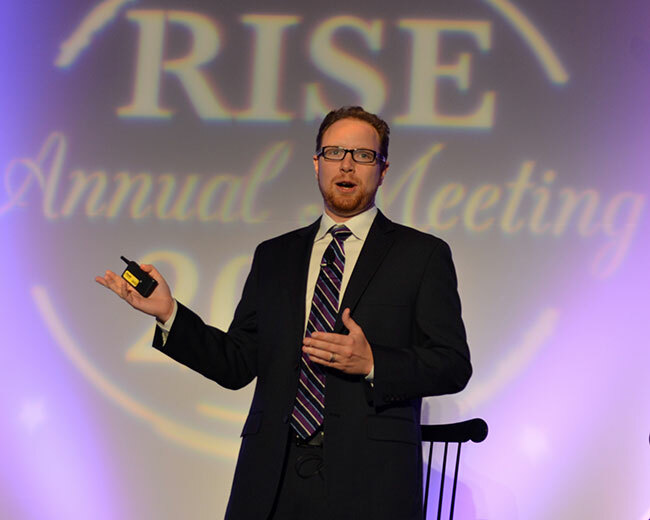 — Celebrating its 26th year of helping protect professionals’ toolboxes, RISE is exploring options for a logo refresh, and might have a new look to share late 2016/early 2017. 1. 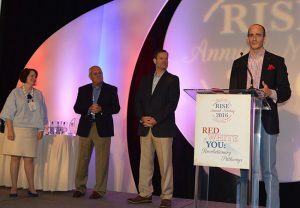 From left to right are: Karen Reardon, vice president of public affairs for RISE (Responsible Industry for a Sound Environment); Dan Stahl and Jonathan Sweat, RISE’s outgoing and incoming chairmen, respectively; and Aaron Hobbs, the organization’s president. The trio of leaders recognized Reardon for her 20 years of service to the industry, the past 10 years with RISE and preceding 10 years with CropLife America. 2. 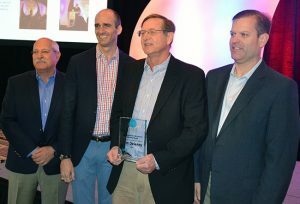 From left to right are Dan Stahl, Aaron Hobbs, Tom Delaney and Jonathan Sweat. 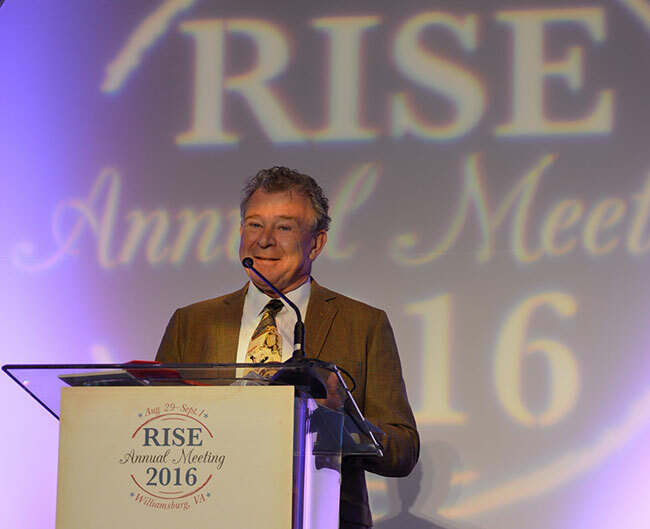 RISE presented Delaney, former government affairs director for the National Association of Landscape Professionals (NALP), with RISE’s 2016 Grassroots Excellence Award. 3. 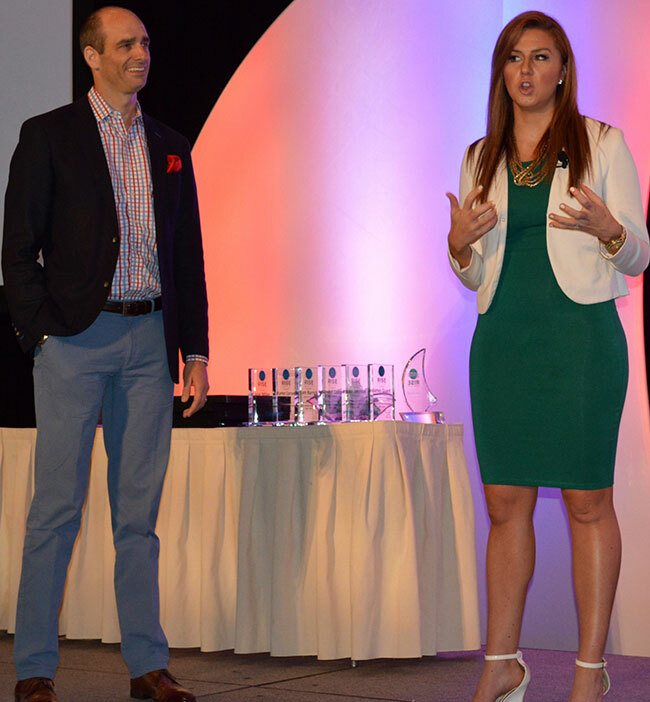 RISE President Aaron Hobbs introduces keynote speaker Gabrielle Bosche, CEO of The Millennial Solution. 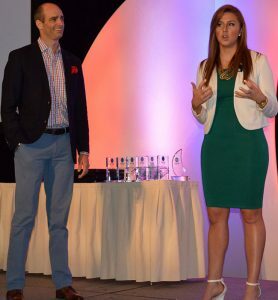 A millennial herself, Bosche helped attending Gen Xers and Baby Boomers better understand next-generation employees and customers. 4. David Crow, president of D.C. 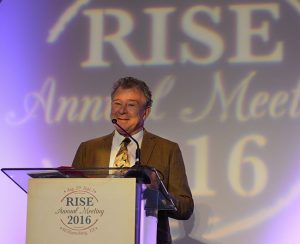 Legislative and Regulatory Services, put at ease the 200 attendees of RISE’s annual meeting by reminding them of crazier political times the country has survived. 6. 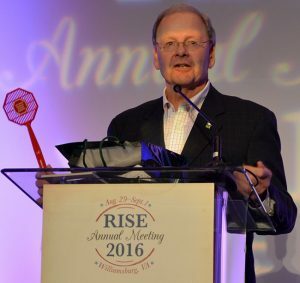 Jay Vroom, president and CEO of CropLife America (CLA), shows off the red fly swatter CLA introduced 20 years ago with the passing of the Food Quality Protection Act. CLA revived the swatter about a year ago to remind regulators and legislators to swat away policy proposals impacting pesticides when the proposals are not based on sound science. 7. 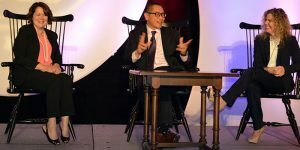 Comprising RISE’s Priority Issues Update Panel, from left to right, are RISE’s Karen Reardon, Bayer’s Frank Wong and FMC’s Jill Holihan. 8. 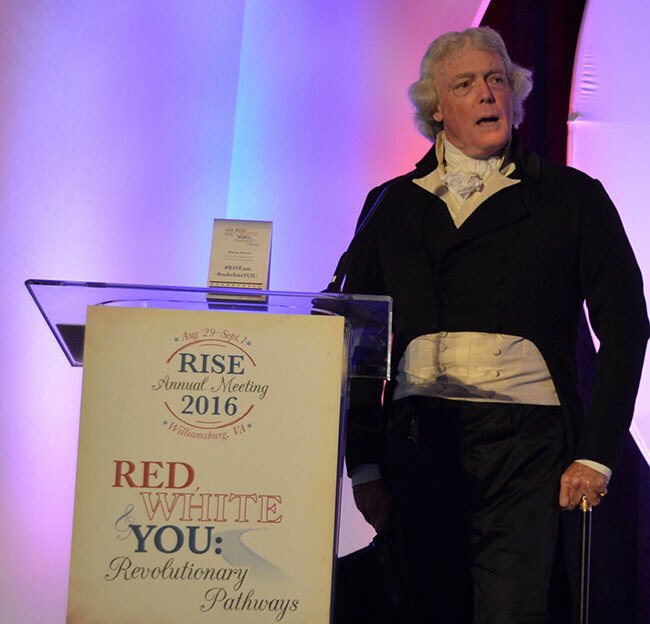 David Wasserman, editor of The Cook Political Report, warned RISE members to curb their governmental expectations the next four years due to the country’s polarized political parties and questionable presidential candidates.